There is so much chatter about social engagement across the boards, the C-suite is talking, businesses talking about transformation around it and every individual is busy at it too. So, whats it all about ? Linguistically, social engagement is about a person's involvement in a social group and with proliferation of social media and online presence, this has taken a whole new form of digital social engagement. Let me share my views on how a business needs a social engagement strategy and how it relates to sales. A business has setup a website, a Facebook page and a Twitter handle. This is the first step of creating social presence. The website should provide rich content around the products or services they offer. It's important to realize that brands are discovered on mobile and hence, investing in some search advertising (Google Adwords, Microsoft Bing) would be extremely beneficial. It's might be hard to imagine the customers zero moment of truth. A stimulus for a purchase might be triggered by any social influences or a need. 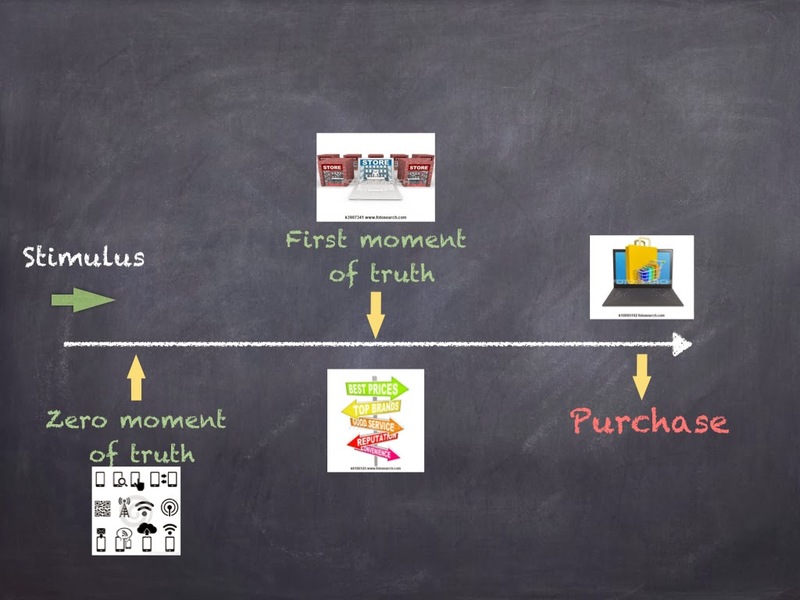 The customer would first look up on mobile search, resulting in a zero moment of truth. Zero moment of truth called (ZMOT) has been around for a while and Google has dedicated a whole website to it. It was P&G who first coined the term FMOT, the First Moment Of Truth, where they suggested a consumer's first encounter with a product on the shelf at a store and during those few seconds all the branding messages they had come across, converges into a buy or move on decision. But, with world going digital, this has certainly changed. Now, people go forth and back at their own pace to research a product in a omni channel system. During this flip flop, people switch devices to research a product and this is what is termed as ZMOT. It's very interesting to note, how ZMOT changes the dynamics of retail. A potential buyer standing in front of a store would be using his smartphone, searching for competition, price comparison, coupons available around and pining his friend for opinion. I feel, ZMOT gets influenced by what the brand has done in terms of social engagement. Let's see from a users perspective how all these bits and piece come together to form the social engagement and for the business translates into sales. In ZMOT, a buyer gets influenced by blogs, forums, comments on social media, reviews and all that is publicly available (user defined content). Then, in all probability, these combined with the product description on the product site, makes up the ZMOT. So, social engagement aids in building that stimulus needed for a purchase that would follow either in store or online purchase. There has been few research done and unfortunately, I am not able to locate the public references to them, where its said that before any purchase that happens, a users goes through a cycle of 1-4 online searches for top brands and its interesting to note that user generated content is what stimulates the user to buy or defer.